Motorola has announced a new pair of Bluetooth headphones which are designed to be used with your MP3 payer, smartphone or tablet the Motorola Buds. The Motorola Buds come with a 150ft range, they have a built in microphone for making calls, and feature AptX audio coding technology, and a microUSB port for charging, have a look at the video below. As you can see in the video the collar is placed around your neck, and the headphones attach to the collar magnetically when they are not in use. 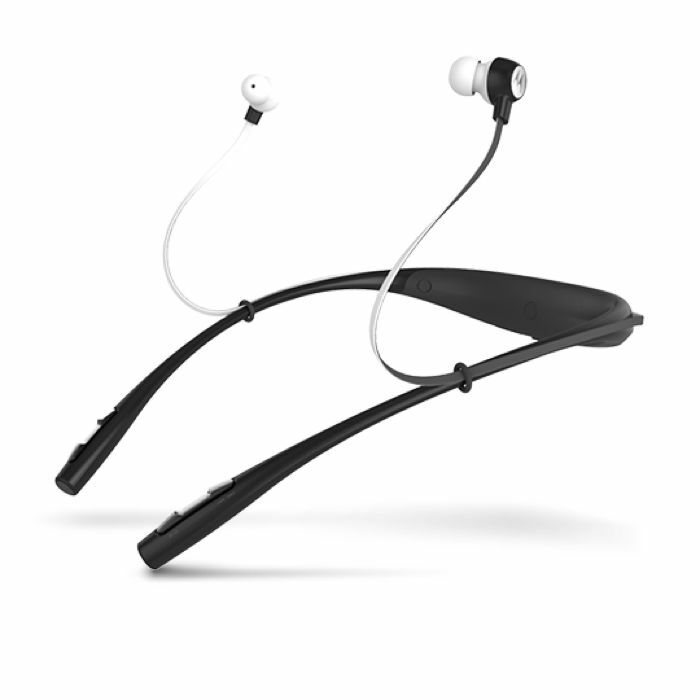 The Motorola Buds are available in the US for $79.99, they come in two colors, black and white, and you can find out more details about the Motorola Buds over at the link below. The certainly look interesting from the photo and video, and the design is unique, as you wear the collar around your neck like you would wear a pair of headphones when you are not listening to music or making a call. It will be interesting to see if this new design from Motorola becomes popular, what do you guys think, will these catch on? Leave a comment and let us know.